Oh Oh.... i think I got over excited !! By the way, looking for good Xplane aircrafts on the net, I find none that compare to what we are used in FS in term of look... For example, it seems that Peter's Aircrafts provide the best airbus.. but when you look at the VC and outside look of the aircraft, it brings us back to FS95 or FS2000..... How come none of these guys can make a realistic looking aircrfat (like the one you'll get from Aerosoft, QualityWings, CLS (their MD-82 series, etc.....) ? Maybe you'd like this CRJ. There are many more beautifully modelled planes in X-Plane 9 today. And Carenado is there. You are right in the sense that there are also developers who still model like X-Plane would be still version 8. Any comments on hardware? eg Saitek throttles, yoke and rudder, using Windows 7-64. Stop it already, most of you probably use Macs to begin with and no we aren't going to listen to anyone that shows something that would be a great effort, if it wasn't for the fact PMDG exists. I'm a little confused by your post? Are you saying that unless it's PMDG no 3rd party x-plane developer should bother trying? I don't really understand. Other than an iPad (which I'm writing with) I don't use a Mac for flight simulation. does anyone of you know if it will be possible to fly to antarctica with x-plane 10? it's not possible by using x-plane 9. From the X-plane 10 preview. "X-Plane will be available early next year from Aerosoft.com." No Christmas release for the Europe version, oh well. It'll be worth the wait though, I'm sure of it. Either that Or I'll just have to buy 2 copies, assuming they release the US version at Christmas. Meal box sounds great though. Hi Mathijs, our blog is getting quite a few questions re. Your plans for xp10 in 2012! Do you know the approx release date? Can 'non-Europeans' order? If we buy the U.S. version, will we be able to purchase an upgrade to get your nice sounding additions? Thanks for all your support and alliance with xplane, it's going to be a great yr.
Hi Mathijs i live in Australia can i buy the Euro version?, As i was born in the UK I identify more with Europe than the U.S. so the Euro version is more to my liking, is postage to Australia not a problem?. Could you also clear up the point of "added many buildings to London-Heathrow (EGLL), Paris Orly (LFPO), Frankfurt (EDDF) and Zurich (LSZH)", If you are in X Plane at this point, most of these Airports are very old 2002 FS ware (except Zurich which was updated), so without the X mega scenery how would that work?, It would be a very odd combination of two very different eras in scenery, I don't have the issue of buying EGLL, LFPO, EDDF, LSZH X mega if they were available for purchase at XP10 release. Looking good - but anything like Missions, and Mission building, as per FSX? Why don't you give yourself a rest and wait until there is the demo version, download it, have a look, and decide from there. But you're right, there will never be a DirectX version, as only with OpenGL all three platforms (OSX, Linux and Win) as well as iOS and Android can be supported. What is the problem with OSM? The data they have are very nice and the best thing of it is, it is open source! Only because some railways or streets are overlapping in the screenshots doesnt mean that the data is not accurate! Also whats up with the video? You have the ones on youtube, which are very nice and show night lighting in its beauty and autogen at daylight, also the ones of Austins presentation, which cover many other topics. Then there are lots and lots of pictures which they have released, even with fps counter(!). The problem is a nice video to film and cut takes at minimum a day! And as you said yourself they have only 1 month left, so what to do? I would go the way they do already, give away many pictures and the rest of the time spend in developing and coding. Laminar isnt as big as Microsoft who can afford paying one to do them the video, or just grabbing one from a different development team. Actually when I see what they do with OpenGL I have no doubts it will be a good simulator and OpenGL isnt as bad as everyone thinks and not as far behind. But your choice, I just have the feeling youre talking more polemic than about X-Plane. Might I remind you the last AAA title to launch for the PC that used OpenGL was 33% off within 1 month. And what do you want to say with this? OpenGL is dead or what? Do you also say EVE Online is way off success because its available for multiple platforms (linux, mac) with OpenGL? EVE is very successfull, maybe even more, having more than 10' 000 of players all over the world and launching soon a PS3 title with the name "Dust 514" which will connect to their whole universe and reaching more players a (S)MMOPRG ever has reached before. Great and when it does launch on PS3 it will be using the native Playstation Graphics Library now won't it. You are up against an FSX engine that was written by a member of the DirectX team, and now works for Intel developing the next gen GPUs. That's the competition, and no matter how enlightening Austin and Ben are to the community they face a pretty heavy legacy, and one that has the ability to offcially license proper road and airport data in their "autogen". If it can be made better it should, this is a game not an "app". I'll assume that's a joke considering the performance, stability and way the fsx engine totally missed the switch to multi core. 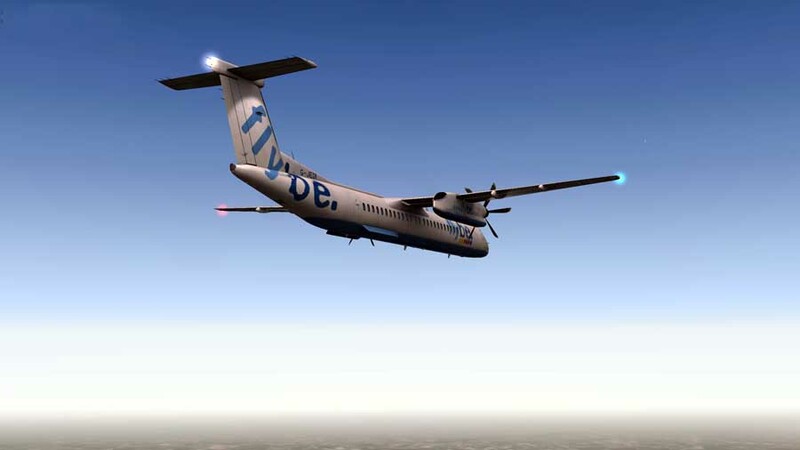 FS2004 was great, but Fsx a lemon in the series. Having seen what both look like, I'm quite excited by the upcoming x-plane 10. Which rightly (given the passage of time) looks much better than Fsx. It would be more pertinent to compare with flight but at this point so little is known about that product. The problem is that our version is not the same as the US version. You get three high details airport (Nice, Paderborn and Faro), plus some of the major airports in Europe in lower detail. We'll also work on the Autogen etc. All that can only be started on the final code. And that's just not ready. January seems logical. And sure, we ship all over the world, no problems. We also think that the additional content will be available for all users but we are not 100% sure in what form. Gents. in case you are wondering, I removed some of Bioniccrab's post because they were just nonsense. Waiting on Microsoft to support X-Plane etc (On Linux and MAC, yeah that's going to happen, lol). I banned him. Bioniccrab wasn't making much sense, I don't mind a fair debate and even criticism of XPlane (or FS for that matter), but it wasn't going anywhere and just silly....and the sword came down! Thanks for answering my questions Mathijs, I will be a loyal customer, on the odd scenery couldn't you just download the missing scenery from the other source, i.e. if you buy the Euro version you then use your serial number to download the KSEA scenery that is on the U.S. version and vice-versa.